Staying Organized While Traveling and a $100 TownePlace Suites® Giveaway! This is a sponsored post written by me on behalf of TownePlace Suites by Marriott®. All opinions are 100% mine. Having just returned from Sicily, and now preparing for a family vacation with kids, several people have asked me how I get it done between constant international travel and traveling with small children. That got me thinking that others may benefit from some tips and tricks I’ve learned along the way. Most of my travel for work is international. And most of the time it involves at least three different flight transfers. That means lots of opportunities for bags to get lost, which for me happens 50% of the time I travel (I kid you not! I’ve got some bad travel luck on my hands.) And when I’m traveling, we’re usually moving from town to town, staying in different hotels every night. This means I need to pack light, and super organized. When I’m traveling with my kids I don’t have to worry about international travel (yet), but I do have to think about all of their 10 million items we need to lug around with us (carseats, diapers, blankets, snacks). I’m grateful we no longer have to add pack-n-plays and strollers anymore! But since they’re still fairly small, they aren’t ready to carry their own bags, that means mom and dad get to do all the packing and lifting. This means we need to pack light, and super organized. After losing bags, missing flights, getting robbed, and having a carryon bag break 10 minutes before a 24 hour travel day that included three layovers, dealing with screaming children… I’ve learned a few things about staying organized (and sane) while traveling. So I was pretty stoked when The Container Store® and TownePlace Suites® reached out to me asking me to share my tips on staying organized when I travel. They gave me a $50 gift card to use on my favorite travel essentials, and they also offered to give a $100 TownePlace Suites® gift card to one lucky reader! Boom. I kid you not. I have an Excel spreadsheet for work travel, and one for family travel, listing all the bazillion things to think about, do, and pack, before leaving on a trip. Before any new trip I sit down, and scan through the list and update it with any specifics. Then I print it off, and check things off as I pack. This keeps me from stressing out before any trip, because I have everything I need, listed on a nice organized spreadsheet. This worked wonders when the kids were babies and we needed to pack things like a thermometer, bottles, bottle cleaners, sippy cups, meds, toys, you name it. Who can remember all of that?! For international travel, it also has things like power converters, passport, and business cards at the top of the list! Organize your bags so you know where everything is. Eagle Creek compression bags (see below) are excellent for helping you organize your belongings and minimize the space you take up in your suitcase. They’re also super lightweight! Whether traveling alone or with kids, every ounce you pack makes a difference! 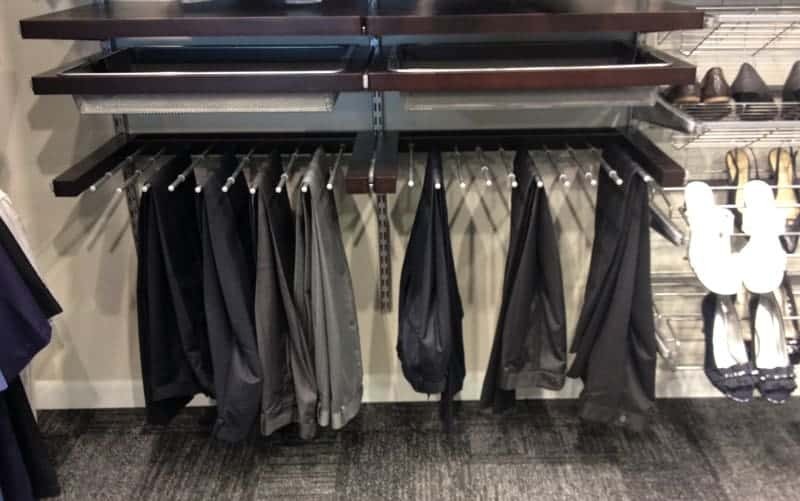 You can put entire outfits in each bag, or sort by item (socks, shirts, pants, etc.). For international travel this is a must. 50% of the time I travel my checked bags do not make it to my destination. Like I said, I’ve got bad travel luck! I’m learning to deal with it. I’ve learned to pack at least 2 days worth of clothes, makeup, etc., into a carry on. Since I’m carrying this bag with me through airport layovers it needs to be light, and I need to be able to access things quickly! *I just purchased items 1-3 with my gift card from The Container Store®. These are perfect for maximizing the space in your suitcase and keeping your clothes organized! I always travel back from anywhere with wine, so #4 is a must to protect your bag in case of wine bottle breakage. Items 5-8 are absolute must haves for any international travel. When I’m traveling with the kids one of my first priorities is to find a hotel that has suite-style rooms. It’s hard enough to travel with kids, and at the end of the day parents need a kid-free zone! I love hotels that have a separate room for the kids, so we can veg out on a sofa and have a deserved glass of wine, and not have to tip toe around the hotel in the dark to keep from waking up the kids. It’s also a bonus if the room has a kitchen, so we can make a few of the meals in the room. TownePlace Suites®, with locations in the U.S. and Canada, is one of those places that is perfect for families traveling with children, or business travelers on an extended stay. 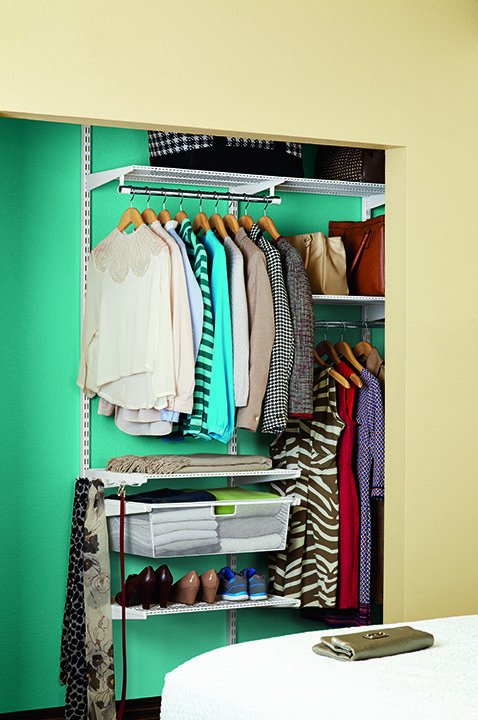 On top of it, they and The Container Store® have partnered up to bring guests the elfa® closet system. Oh my! Goodbye blah hotel closet. 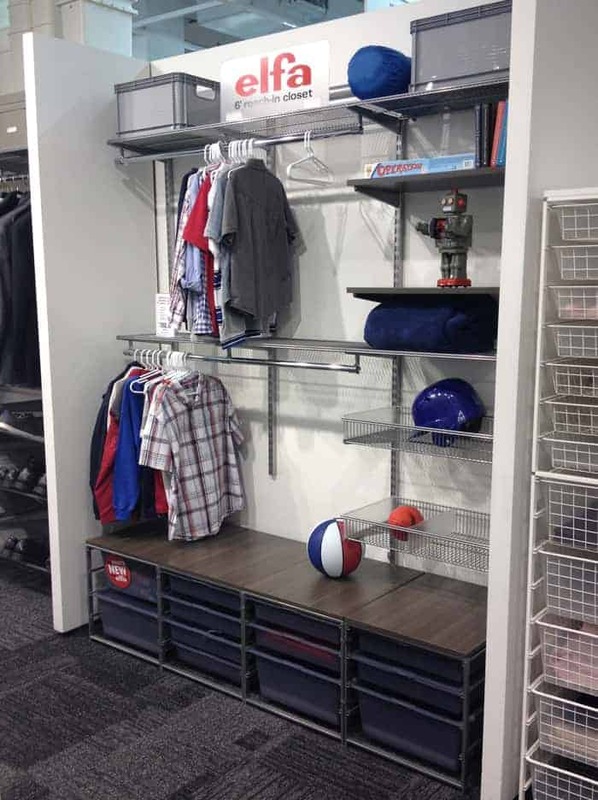 Hello elfa® — the custom closet designed in partnership with The Container Store®, loaded with lots of storage options to help guests feel more organized while on the road. I want this closet for me and the hubs! 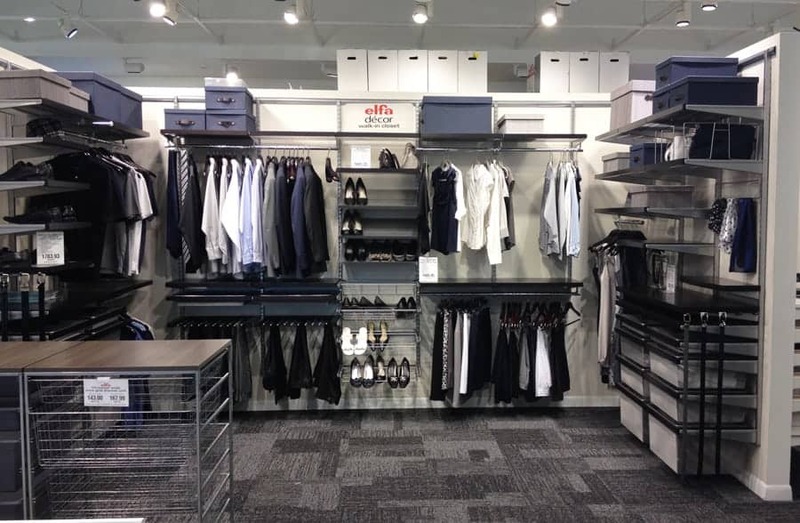 I checked out some of these closet solutions when I visited The Container Store® last weekend to use my gift card and got a bit of closet envy. If you could see my closet at my house you’d know why! These are pretty awesome. And hubs needs this for all his work pants! And for the kids! Perfect! Can you imagine having such an organized closet at a hotel stay?! How nice to be able to unpack and organize as if you were in the comforts of your own home. I’m not sure I’d want to ever leave. And there are currently 11 TownePlace Suites® hotels featuring the elfa® closet, with more locations growing every month. You can see the latest list here. And thanks to TownePlace Suites® they want to give one lucky Vindulge reader a $100 gift card to put towards your next stay so you can experience it for yourself! What do you do to stay organized on extended-stay travel? For more information you can visit the TownePlace Suites by Marriott® website, or find them on Facebook at TownePlace Suites® Facebook. I unpack right when I get to the hotel so I can easily find what I am looking for and don’t end up with a mess of a suitcase! I pack everything in separate containers! I’m with you — packing lists are my savior when traveling. i travel with pairing outfits in mind. same colours to match with different pants or skirts. and lightweight. This is a great idea! I always *intend* to do that, but never follow through and end up overpacking clothes! Wardrobe wise, I always do mix and match pieces, plus a few extras because…well, I was blessed/cursed in a certain region of my body and end up wearing bits of my meals from time to time. I also try to pack intended outfits together in either the same roll or I place them together in my suitcase. I always, always, always have my toiletries kit (which includes a corkscrew and a bottle opener…don’t ask why because I can’t remember why I thought it was brilliant, but I’m guaranteed to always have one that way) in my suitcase, even when I’m not traveling. I almost always triple-check everything before I leave, too. I’m not very organized when I travel, but I imagine this cool closet would help a lot! I especially like the shoe rack. I too have been using an Excel spreadsheet to ease the stress of packing. I have separate tabs for various travel destinations, as well as whether I’ll be driving or flying. I’ve added item #1 on my Christmas wish list, along with some other Eagle Creek packing accessories. I keep important items close by and clothing, etc. that I will be using first on top of the suitacase. I use small plastic containers for lots of toiletries to save space and I utilize a hanging makeup bag to keep my makeup, hair products, medicine, etc. all visible and handy. My husband and I put our stuff in different spots in the room so that we have “our areas” to be more organized. Also try to make sure I allow extra time while traveling. I try to pack by days. That makes unpacking easier — just lay out every outfit and boom, your week is set. I pack a few extra gallon size Ziploc bags for the way home. Anything damp or smelly can go in there. Also good for anything that might leak!!! I try to keep us organized by packing my case in such a way each day is seperated out, I also wake up before my family to set out their items. I bring extra bags for dirty clothes/shoes and wet swimsuits. These are great ideas! I pack my clothes the night before and save my toiletries until the next morning so I can pack them as I use them. That way, I won’t forget anything. I also try to wear the shoes that would take up the most space in the suitcase. I like the idea of bringing your own hangers. Hotels never have enough! I agree! I just bought a washable laundry bag that I can reuse. Here in Portland plastic bags are now illegal so I never have any to bring with me on a trip. I have to find new solutions for shoes. I stay organized by not packing too much. I like to take clothes in neutral colors that I can mix and match. I also like to unpack as soon as I arrive. Thanks for checking in! The winner was Kristen, from Dec 13th.